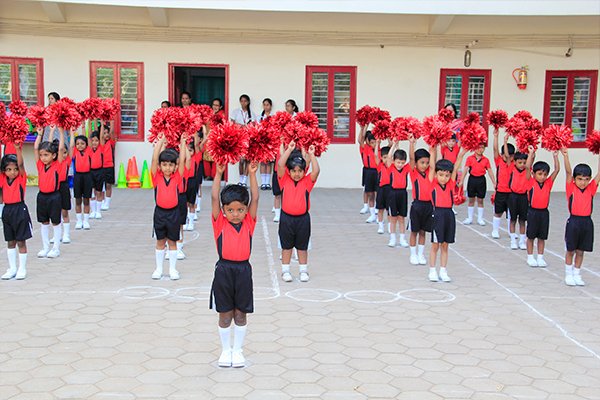 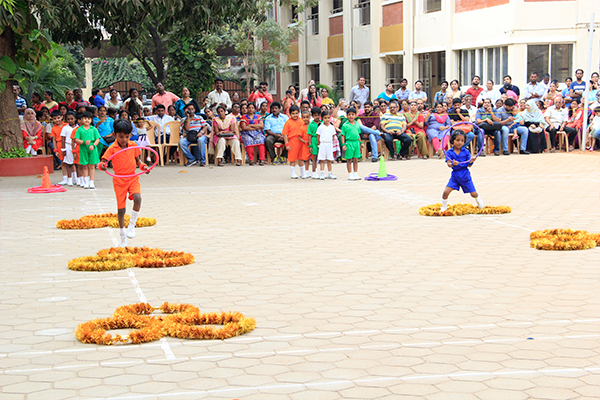 The Kindergarten Sports Day commenced with an invocation song followed by the March Past by KG-I and KG-II children, along with the lighting of the torch. 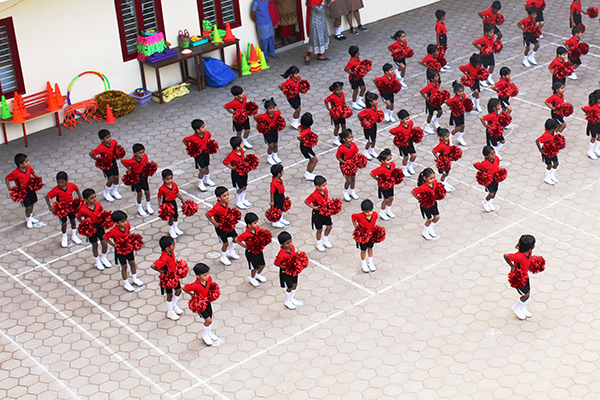 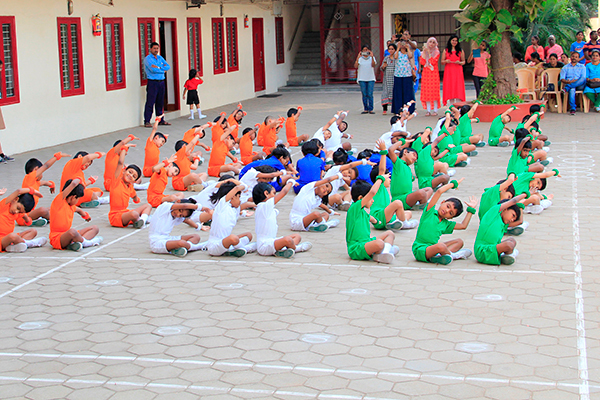 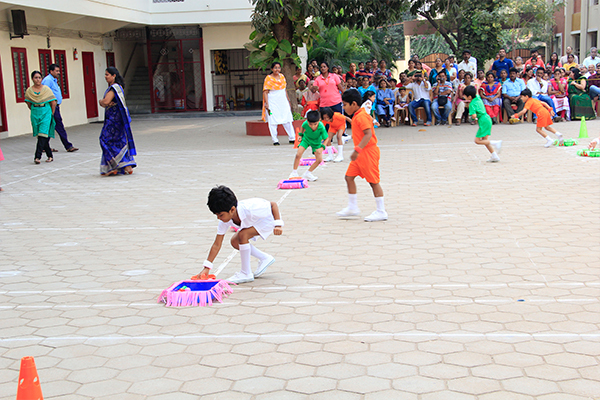 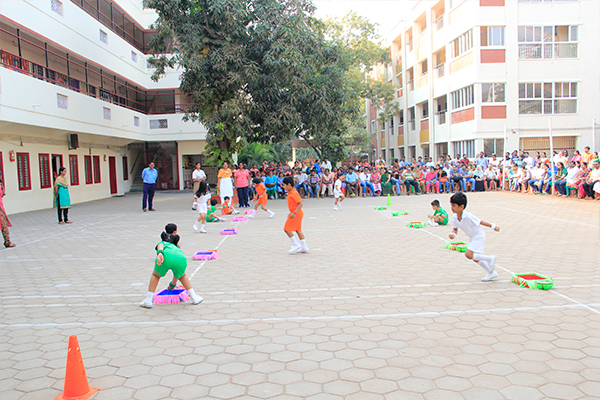 The sports events began with some spectacular Skating, Hula Hoop Demonstrations, a vibrant and enthralling Drill with the Indian flag formation. 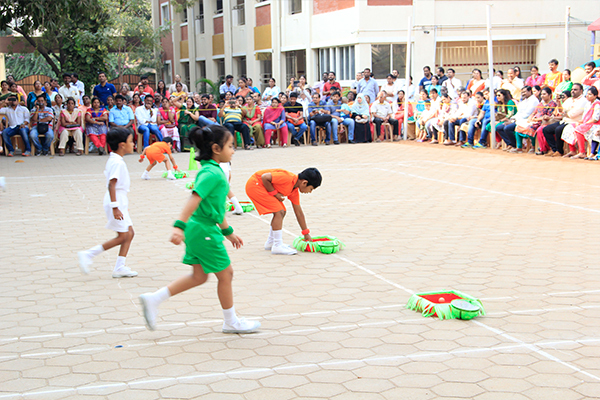 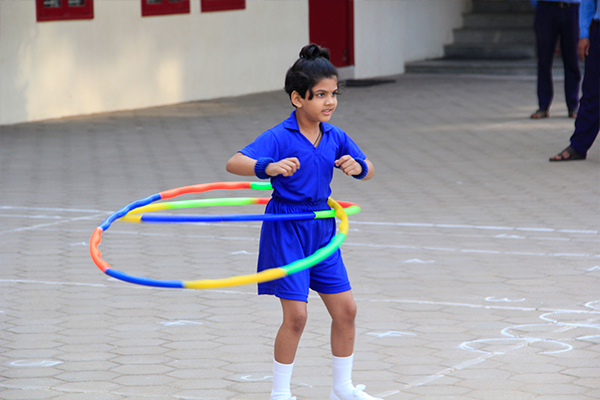 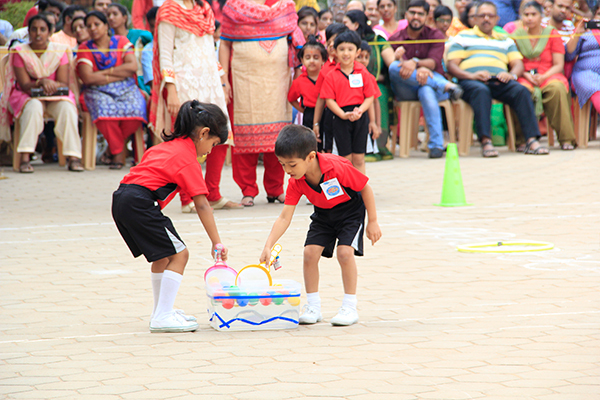 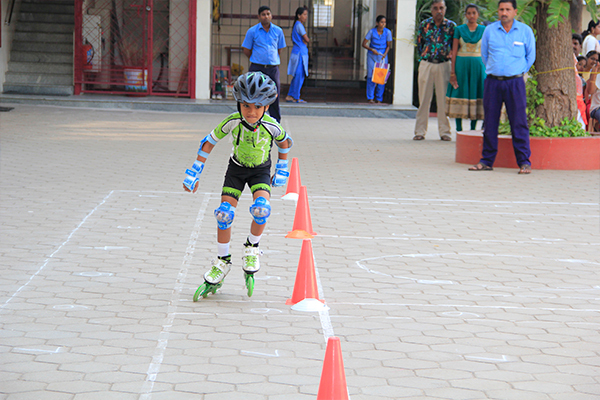 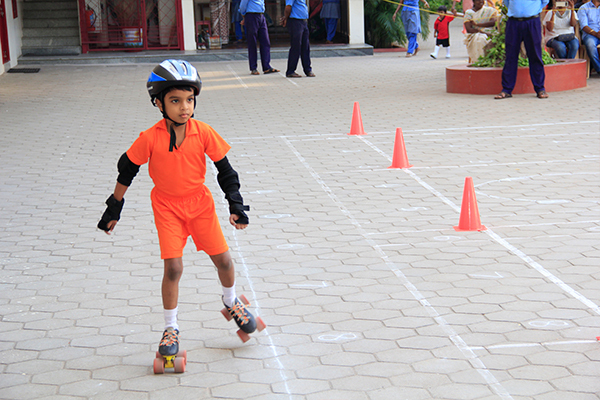 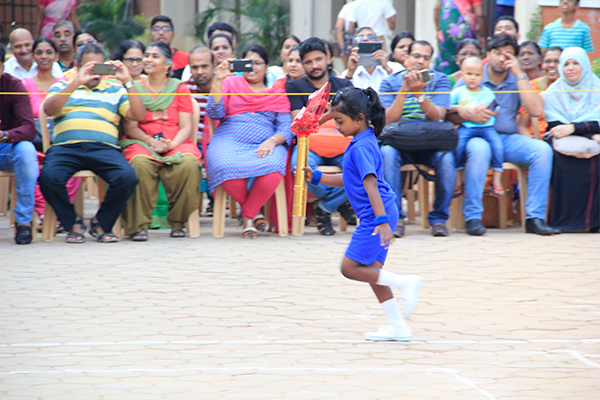 The children participated in innovative races and a lot more exciting games that filled the environment with cheers and applause. 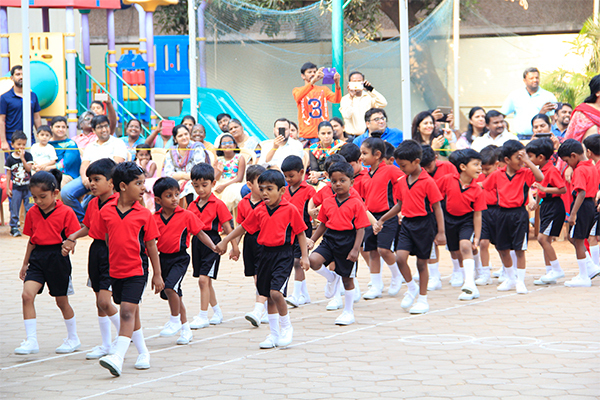 Certificates and Medals were given to all the children as a token of appreciation and participation. 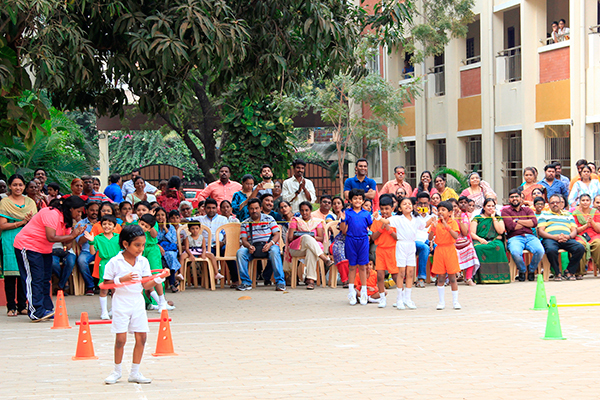 The final event was for the parents’ where they participated with great zeal and vigour and made the day an eventful one.